An important aspect of a great house or a commercial space is a sparkling floor that is always clean and shiny. A clean floor not only leaves a good impression but also increases the aesthetic appeal of your house. But selecting the right mop to clean your floors is not an easy job, especially when your house has hard floors. Not every mop for hardwood floors is suitable and there are many that can leave your floors dirtier. So, you don’t have to do a lot of heavy lifting yourself, here is a quick guide on the best ten mops that you can use for hard floors. This article will give you a complete guide and review on all of these ten hardwood floor mops, so you are equipped with all the right information before you finally step inside a store or shop online for the best mop. Each of these mops excels in one area or the other and so they are all equally suited for hardwood floors. The final decision making will come to your individual needs. What To Consider When Choosing The Best Mop For Hardwood Floor Cleaning? Tips On Cleaning Your Hardwood Floors Properly.. If you are on the lookout for an efficient and effective hardwood floor mop that can not only clean the floor but also disinfect it at the same time, this one from Bissell is sure to tick all the right boxes. The Bissell PowerFresh steam mop has a big head that thoroughly cleans the surface of your floor and has a powerful scrubber that can remove tough stains from your floor, which saves you getting down on your floor and removing the stains yourself. 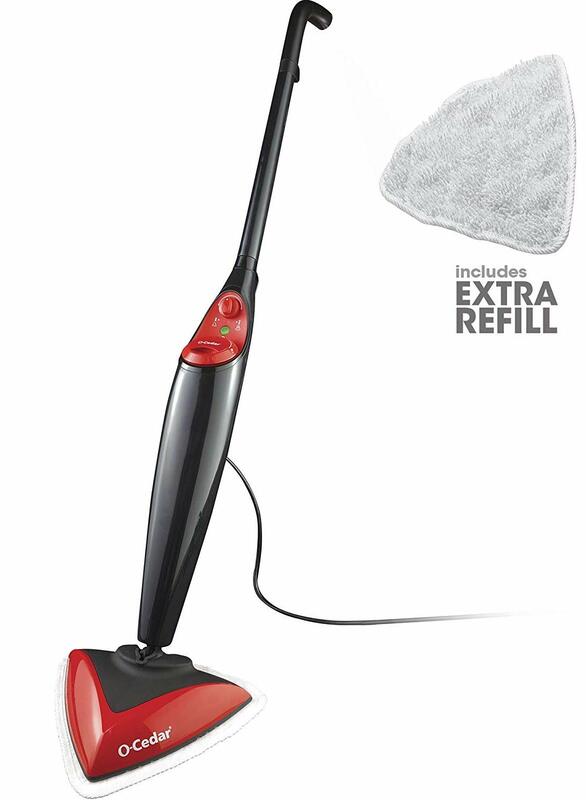 Using the Bissell PowerFresh steam mop, you can mop, sweep and scrub your floor all using just one mop. In fact, this mop is so effective that you do not have to worry about using harmful chemicals and products to apply to your floors that can jeopardise its shine in the long run. 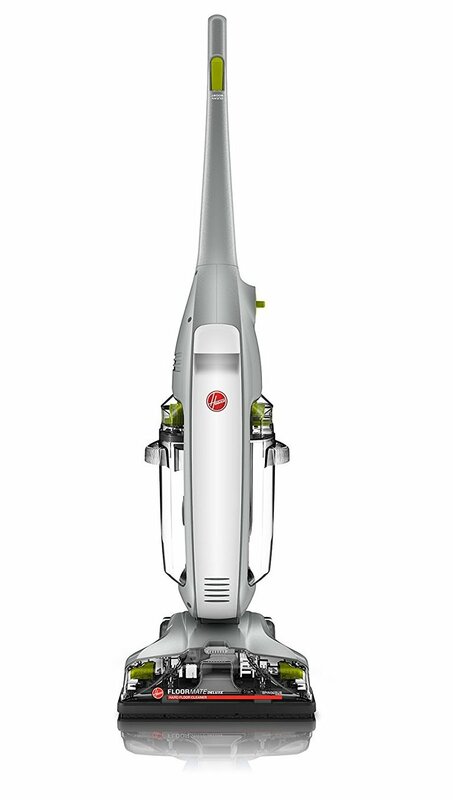 The PowerFresh comes with an adjustable head so you can choose to go high, medium or low with your mopping. All this is controlled using a smart set digital panel, which makes this mop one of the most digitally smart and sophisticated mops in the world. The mop comes with a 23-foot long cord, so cleaning your floors with plugging your mop at one location is very easy. So, all in all, this Bissell is a good hardwood floor mop. The Shark brand has proven to be very effective when it comes to a hardwood floor mop. Its Pocket Mop S3501 is one of the best mops for hardwood floors that fit very well in an affordable price range and do an excellent job of mopping floors leaving them sparkly clean. Compared to many other mops, the Pocket Mop S3501 has all the features that other mops in this list offer, but it comes with handy little improvements that help in making cleaning pleasurable and less painful. This has the capability to use as a hardwood floor mop quickly is as little as 30 seconds. The mop is super effective in cleaning tough stains and dried-on messes on the floors – even rigid stains that you have not been able to remove for a long time. Its heating function ensures that this mop can also kill 99.9% bacteria and germs and leave your floors germs free and stain free at the same time. The Pocket Mop S3501 comes with an extra microfibre pad, which has the added capability to lift any extra dirt from a hard floor and lock it in. This feature comes in very handy when you don’t have to worry about needing to lift heavy buckets of water to mop your floor regularly. Although the hardwood floor cleaner mop, it is equally compatible with other floors, so you don’t need to buy separate mops to clean your hard floors and tiled floors separately. This pocket steam mop has a 25-foot long cord and has a comfortable handle, that makes working with it super simple and effective especially when your house is big. This is another mop from Shark that does an amazing job as a hardwood floor mop effectively and efficiently. This one is perhaps one of the most effective mops to use if you have a lot of traffic on your floor and it gets tough stains often. This mop can clean tough stains and also kill germs from your floor effectively. It is extremely helpful if you have children in the house where you need to ensure that your floor is free of dust and germs at all times. The Genius Steam Pocket Mop comes with a touch-free technology so you don’t have to worry about removing the dirt from your own hands. It features a dual-sided grip pad that has a click functionality. So, with just one click, you can attach the mop head to the stick and release the head so all dirt goes straight into the bin without making your hands dirty. 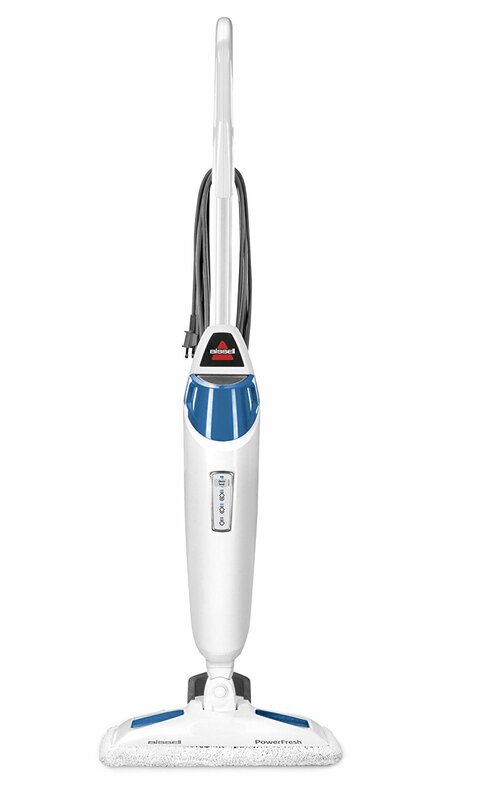 The Pocket Mop S5003D also features a smart digital control that helps you choose among three different power settings. So, when it comes to technology no other mop can beat this one from Shark. The mop head also is fairly large, so it can cover a big area on your floor so it takes you less time to clean your floors. Another brand that brings many amazing hardwood floor mop to market is Bissell. 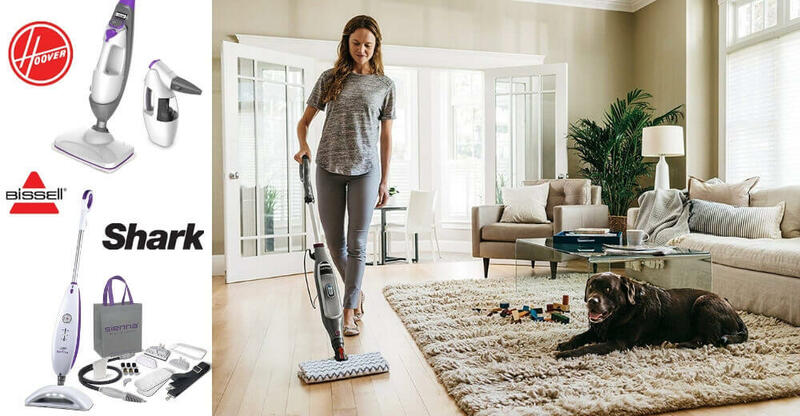 The Bissell Symphony Pet Mop and Vacuum Cleaner is another steam mop from Bissell that is topping the charts and becoming everyone’s favourite. This mop is perfect as it is a two-in-one for both mopping and vacuuming at the same time. 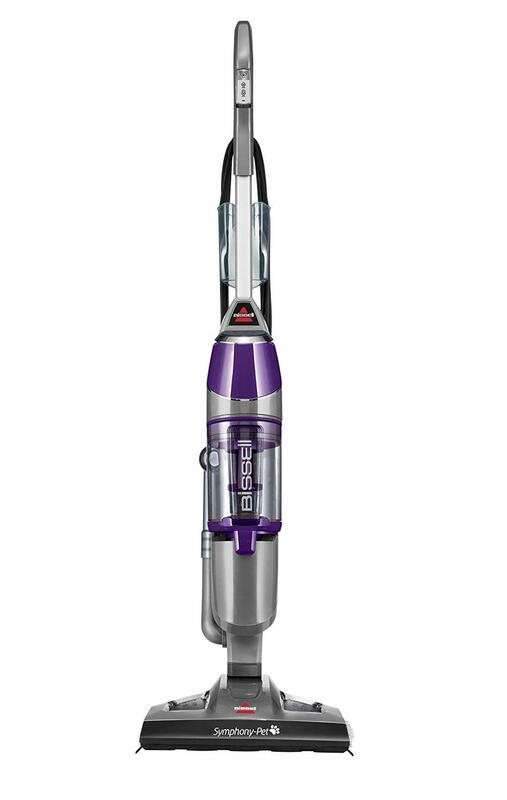 If you have a pet in your house, this mop from Bissell is your perfect buy as it helps in cleaning all the shred from the house. Not only that, this mop/vacuum cleaner comes with odour eliminating scented discs that can add a lovely smell to your floors while mopping them. 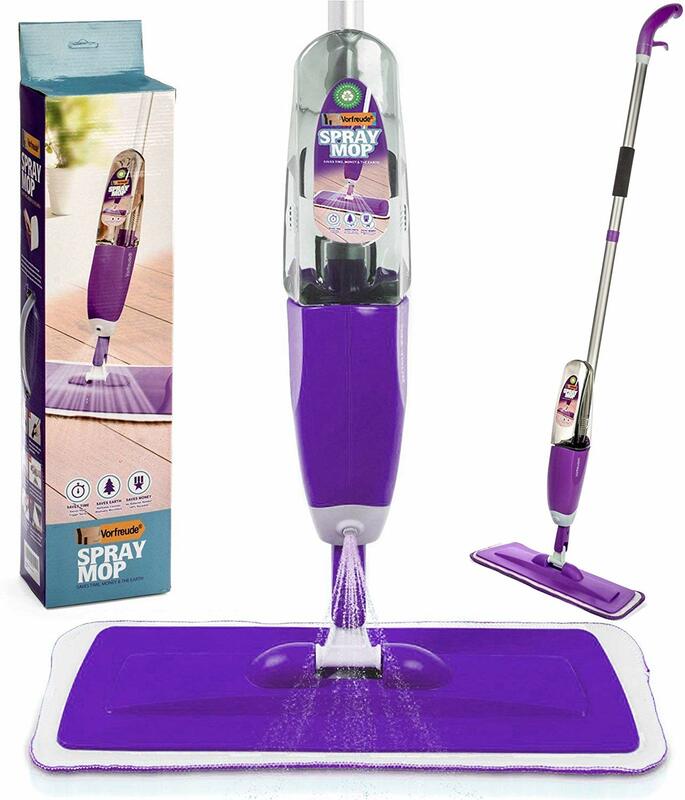 The prominent differentiating feature about this mop is its drop-IT tank emptying system using which you can remove dirt and dust from the vacuum cleaner without touching it and getting your hands dirty, Especially useful against types of allergies. If that’s not great, what can add to your decision making is the fact that the Bissell brand donates $10 to charity. When it comes to speed, the ocedar Microfiber mop offers the best speed so you can hardwood floor mop in seconds as compared to many other mops available in the market today. The ocedar Microfiber mop comes with an easy-to-use ergonomic design that is highly flexible. 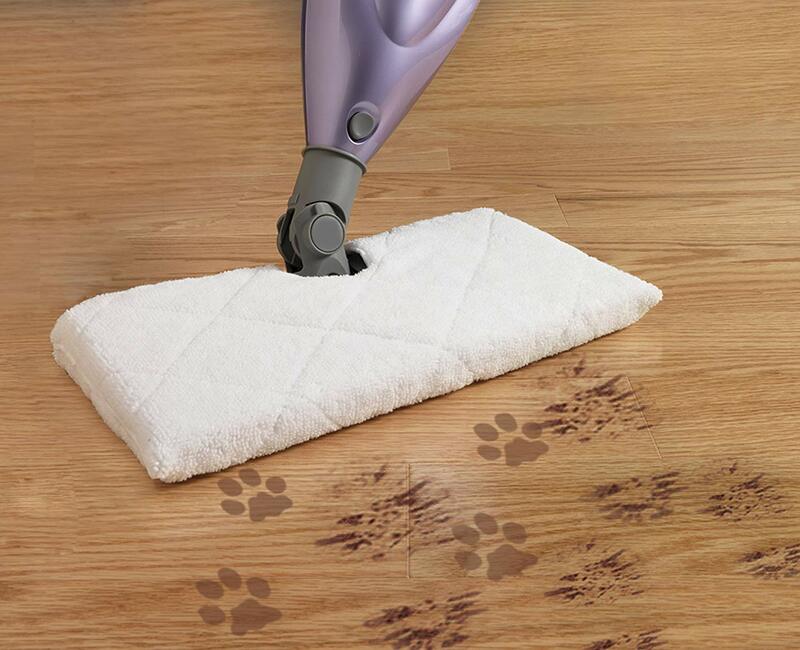 It also has a lightweight design – weighing only 5 pounds that makes cleaning an extremely easy process. The mop also comes with a smart control to adjust the heat settings so you can go high, medium or low depending on how dirty your floor is. Customisation adds to the overall appeal of this mop and makes it one of the most sought-after mops in the world. It also features a set of washable mops that you can easily clean in your washing machine and has a long cord, so you can take the mop anywhere while plugging it at one end. The other good thing about this mop is that it features a snap-on carpet glider that you can use to clean and steam mop your carpets by simply rig-sliding the attachment on to the mop and start cleaning your carpets. So, if high quality, great performance and affordability are on your list for buying your next mop for hardwood floors, Then the ocedar microfiber mop is your best bet. Sometimes a mop is not the most effective mop for hardwood, and can also not be the most-friendly mops. If a spray mop is something that you are more comfortable with, here’s one that is most suited for your floors. If simplicity is your key parameter when you go to the market to buy a spray mop for cleaning your floors, this one from Bona will blew you away. 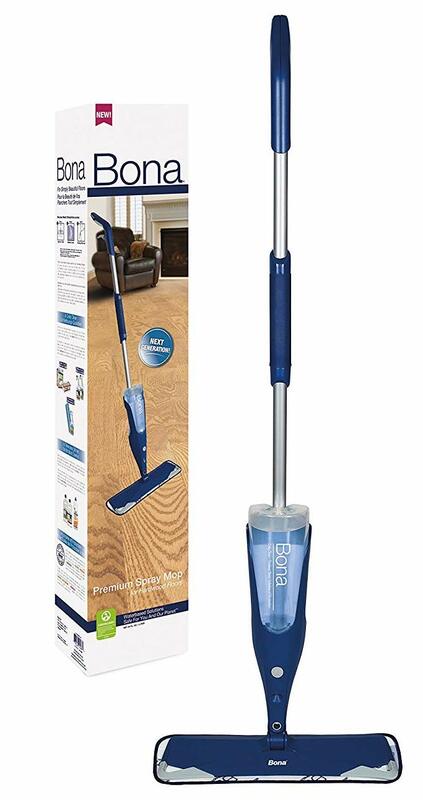 The Bona Spray Mop has an ergonomic and a very simple design that makes the mop extremely simple to use. It also comes with a broad base that helps in cleaning large portions in a short amount of time. The other good thing about this spray mop is that it comes with refillable cartridges that come filled with Bona’s branded formula that leaves your floors sparkly clean. The mop features a machine-washable pad that can be easily detached from the mop and washed separately without getting your hands dirty. A power machine combined with a great output – that’s what customers say when they talk about the Hoover Floor-mate Deluxe Floor Cleaner Mop. These type of mops are a great addition to a house that has sprawling floors and high traffic with either kids or pets in the house. 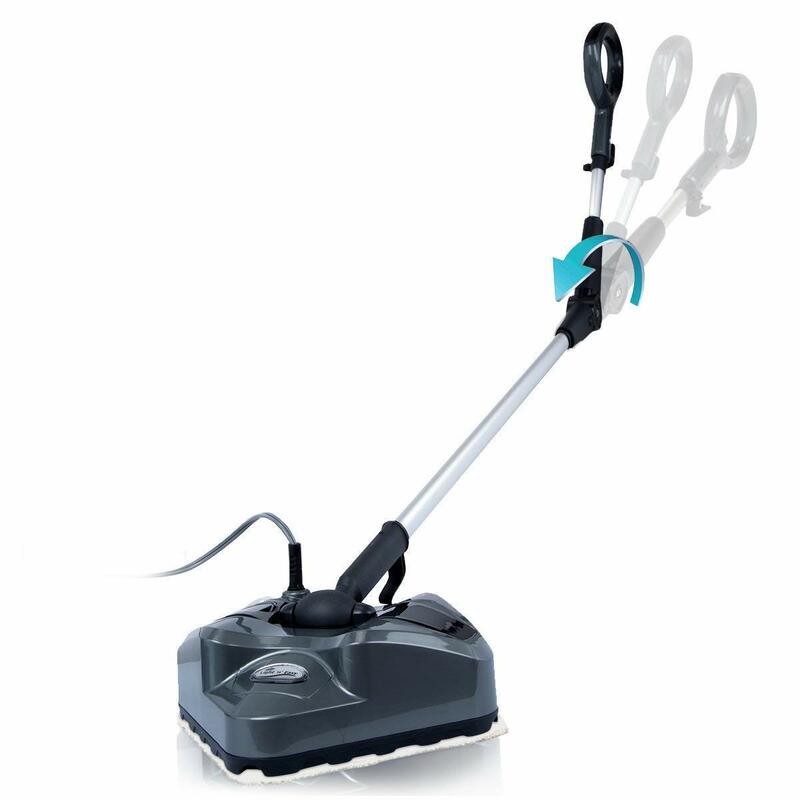 The mop features a robust 3.5 Amp motor that is one of the most effective in the market and helps in cleaning the floors easily and quickly, even if it involves rigid stains. Its SpinScrub feature lets the mop head spin to collect dust from all hooks and corners and ensures that the mop cleans properly and touches all areas. The brushes of this cleaner mops for hardwood floors while still helping in removing rigid stains from the wooden floors. Also this mop also comes with a dual tank system, which is great to ensure that dirty water stays separate from clean water and that it does not make it back to your floors. This feature makes this mop one of the best in the market and a clear winner when it comes to affordable yet efficient mop for hardwood floors. Another good thing about this mop is its wash/dry mode selector. Using the wash mode, you can keep the brushes of the mop clean by ensuring that any excess water is absorbed both from the floor and the mop. It's dry mode is used to stop the brush when needed and rinse the floor before wiping it clean with the mop. 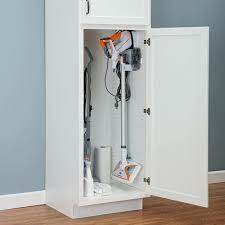 The Hoover Floormate Deluxe mops for hardwood floors also offers a great storage option as it has a foldable handle, so you can store your mop comfortably even when the space is limited. Another great mop that you can buy at an affordable price from the market to clean your hard wood floors is the Vorfreude Floor Mop with an Integrated Spray. A good thing about this mop is that it runs on batteries, so you can even go cordless after charging its battery for a few hours. The battery life is really good and you can end up using the mop for a few hours before the battery runs out. This mop also comes with a spray section that you can use to spray water or any cleaning liquid of your choice then use the hardwood floor mop. The cleaning pad for this floor mop are very big and this allows the mop to cover broad areas on the floor with every pass, ensuring that you can clean big floors in less time. This one mop from the brand Light N Easy is winning hearts across the world and is soon becoming the number one mop because of its bendable handle. This mop has taken into consideration that many people experience back pains while mopping and vacuuming and has worked on its design to find a solution to this age-old problem. The Light N Easy S7339 mop can reach hard spots inside the house without you having to bend - thanks to its bendable handle that can reach even the smallest place behind or under your furniture. Not just a flexible handle, the Light N Easy S7339 mop offers a ton of other user-friendly features. These include an automatic steam release that you can easily switch on and off from a button and safety features that make this mop very easy and safe to use in households with children and pets. This mop can also be safely used on all types of floors including carpets, laminate floors, tiled floors, vinyl/plank floors and of course, it's the best mop for hardwood floors. 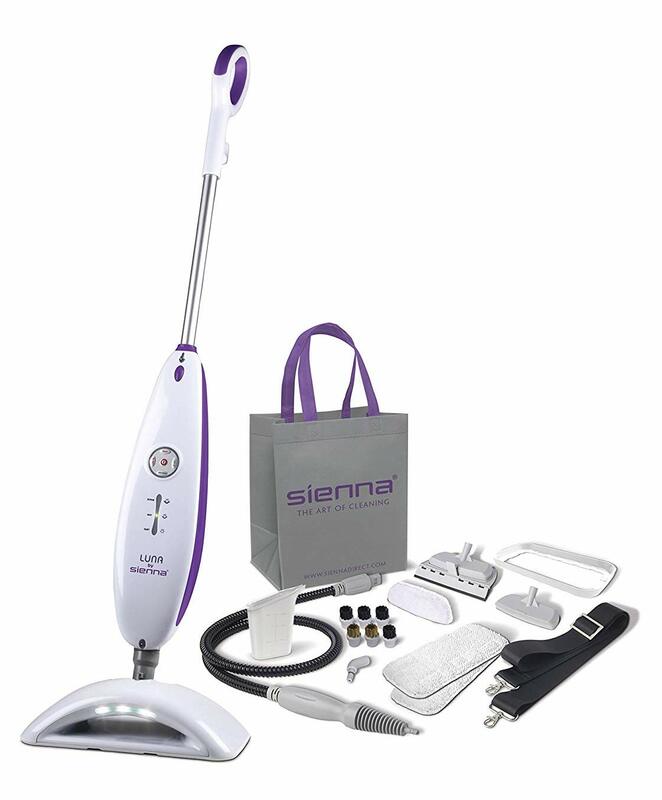 When attachments and a plethora of features are your parameters to buy a mop, or any gadget for that matter, the Sienna Luna Plus SSM-3016 tops the chart with loads full of features and add-ons. Apart from the smart digital control that lets you choose among a number of heating and steam options, this mop from Sienna features the latest sonic micro pulse vibration technology. This technology uses very high temperatures to clean dirty floors with stains but also ensure that the hardwood is not damaged and that you are left with high-quality floors that are sparkly clean. This hardwood floor mop can also be used on a variety of floors, so you don’t have to buy separate mops to clean different floor types in your house. The mop comes handy with a fully loaded accessory kit that makes this mop from Sienna one of the best mops for hardwood floors in the world. Cleaning floors can be a nightmare if you are stuck with the wrong mop or the one that is not meant for cleaning wood floors. So, how do you buy the right mop for the right floor? How do you ensure that you have a high-quality mop that is not only compatible with your floors, but also cleans them effectively and efficiently? Here's a few things that you should consider before buying a mop for hardwood floors. One thing you need to consider is what the mop head is made of. There are a number of options available in the market, but not all are suitable for your floors. The one that is most suited as a hardwood floor mop is made of microfibre and it absorbs water and also picks the smallest dust particles from the floor at the same time..
First things first. You need to set a budget for your mop for hardwood floors. Your mop needs to be affordable and efficient both. Therefore, depending on how much you are willing to invest on your mop, you can buy one that is less popular or the one that is from a top brand, one that is suitable for all types or floors and does the job well or the one that is specifically a hardwood floor mop, etc. after reviewing the list of above, you will have a fairly good idea about the type of mop you need for your household. Where to keep your mop? Another parameter for you to think about when it comes to buying your next mop for hardwood floors. Let’s admit – these mops can be big and can take a lot of space in your home. So, depending on how much space you have for a mop, you can go for one that can be detached and folded when not in use if the space in your house is tight. If you are not struggling for space, you can choose to buy one that remains intact when stored, so it’s less work for you when you need it to clean your floors the next time. Just take it out of its stored location and get started. Also equally important when it is time for you to look at your next mop for hardwood floors, is what its cleaning duties will be. Depending on how big or small your household is and whether you have kids and pets, your choices can vary. For high traffic areas, you may need a high-power mop and when you have children and/or pets. If it’s just you and your partner living in the house, you may be able to do with a small-power mop. Now that you know which mops are most suited for your hardwood. And which factors you should consider before making a decision about which mop to buy, we thought it’ll be handy to share some quick tips on how best to clean your floors quickly, effectively and efficiently. Just like you shower regularly, your hardwood floors need the same love and care. You could make sweeping your floor a part of your daily regime, or at least every alternate day. Your floors can accumulate a lot of dust during the day and that dust can deprive your floors of the shine if not cleaned regularly or if left to sit on the floor for a long time. So, making a habit to sweep the floors regularly at least the areas where there’s a lot of traffic. Hardwood floors can absorb moisture quickly and so it is very important that you clean any accidental spills of the floor as quickly as possible. This will prevent your floors from damaging and swelling with liquids penetrating it. So, this is where your precious buy comes into function. After you have swept the floor, give it a thorough mop to clean any rigid or messy stains. You can also use Wood floor shiners and can add them to the water tank on the mop to add that extra touch to the floors and the fragrance if you like. For other tough stains or hard to reach spots, you can get your hands dirty, get on the floor yourself and clean the spots using a cloth. Hardwood floors are sensitive, and so it is essential that all hazardous chemicals should not come in contact with your floors. These include abrasive sprays or acidic liquids such as polish, furniture varnish or other chemicals containing vinegar, ammonia or soap-based chemicals. 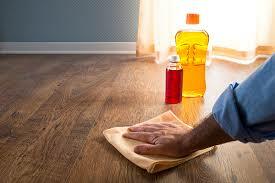 Read More on Cleaning Hardwood Flooring with Vinegar. The change in your homes humidity levels can have an effect on the floors. So ideally your looking for between 40-50% humidity this will change depending on the seasons. In winter it is slightly lower at around 30-40% and summer can be up to 50-60%. Having a dehumidifier in the home will help to control these levels. This fluctuation in these humidity levels can cause condensation inside the home. This in turn can encourage mold growth and dust mites to thrive. So there is also health benefits in keeping an eye on the humidity levels as well as keeping your floors in peak condition. In this article it gives you a complete guide on what kind of mops are best suited for your floors, what things you need to consider before buying a compatible mop for hardwood floors and how you can ensure your floors remain new, fresh and sparkly all year round. Read more on Steam Mops on hardwood flooring we have more here.